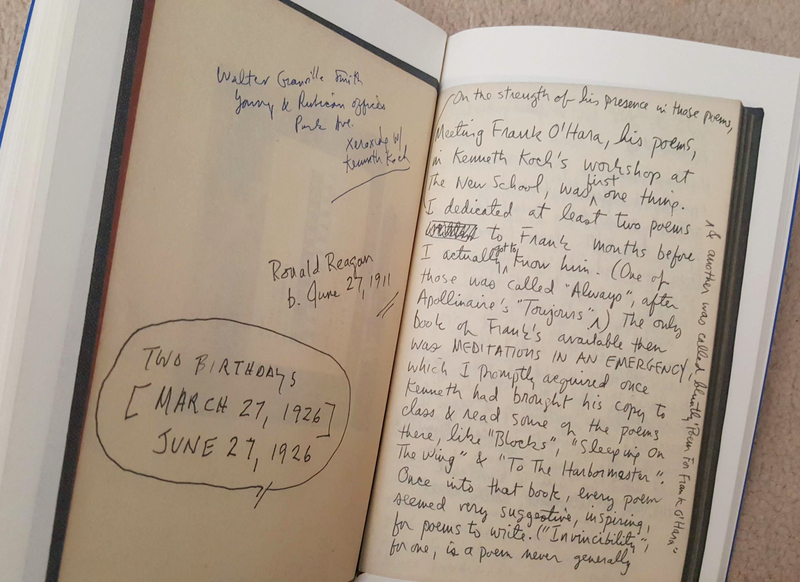 At the back of the mag Mark Ford reviews the Complete Poems of A. R. Ammons (over 2,000 pages!) – a poet I confess I’d never heard of, and clearly someone who went against the grain in more ways than one. 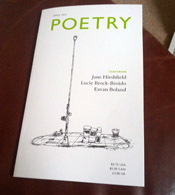 I’ve also listened to two of the podcasts for this issue, in which Don Share, Lindsay Garbutt and Christina Pugh focus on a single poem for reading and discussion. It’s like listening in to an editorial meeting, and always makes me appreciate a poem more. Each month they pick three or four poems to talk about. The two I heard were Khaled Mattawa’s ‘The Boat Merchant’s Wife’ and Jorie Graham’s ‘Overheard in the Herd’. Fascinating. 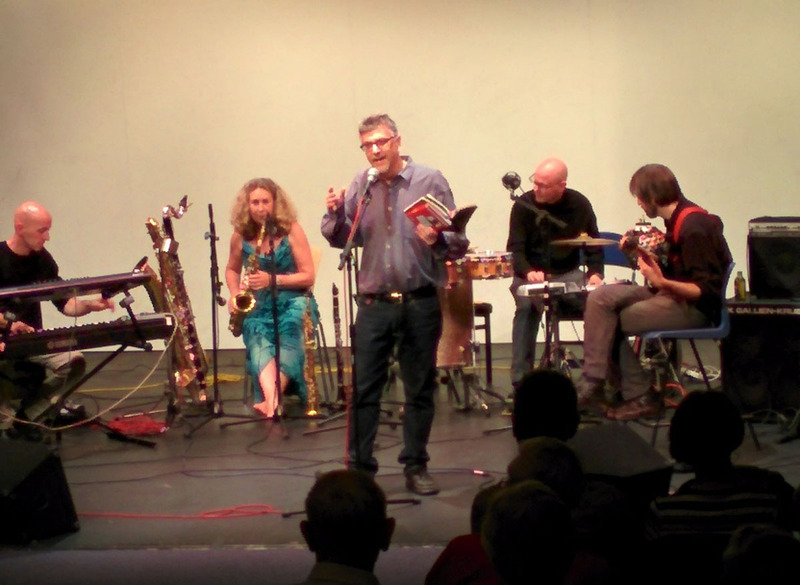 You can catch all the Poetry magazine podcasts here. A few weeks ago, Janet Sutherland and Matthew Stewart were two of the readers at Needlewriters, a quarterly event in Lewes, in which I’m involved. They each read from their latest collections. I’ll talk more about Matthew’s collection The Knives of Villalejo in a future post. The cover illustration of a cross-section of a cow sets the scene perfectly. 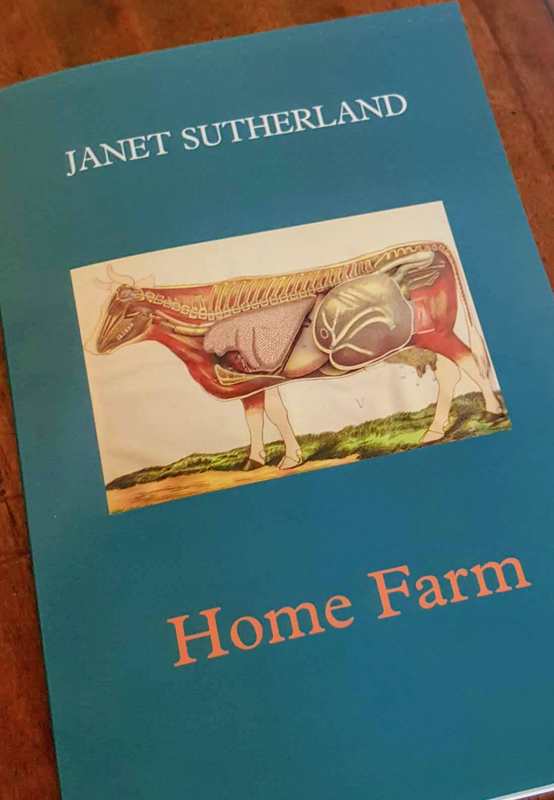 Janet grew up on her parent’s dairy farm in Wiltshire, and much of the book is set there – the experience of day-to-day life and death, the precarious nature of land, weather, animals ‘If symptoms are severe / your animal can die in just an hour -‘ (‘Bloat’) This is no cosy pastoral memoir. 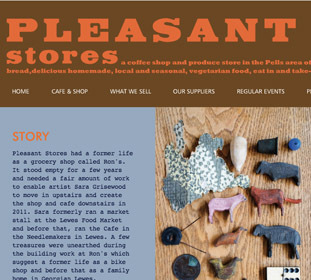 The poems draw on actual incidents, stories and memories, extracts from books, letters and accounts. We learn the names of the fields (‘Stony ground, East Close, Home ground, Muddy Track, Paddock, Park, Chapel, Horatio…’ – ‘Fields and Copses’) and the cows, are given glimpses into the ways that love and care for the animals is balanced out by the hard realities. In ‘Mum’s Accounts’ of births and deaths, we’re told ‘The Middle Column is for notes of trouble, trial, losses (‘1987: Gorse, milk fever. Lotus, calved early, calf dead. Dolly, needed help, calf died next day.’) The writing is unsentimental, brutal at times and brilliantly so. and heard their mothers’ bellowing. A seemingly simple poem about a doe making her way tentatively through a wood (‘She will enter’) is a moment of such intensity and understatement, very typical of Janet’s style. I hesitate to call it ‘nature writing’ as there’s something rather limp about the phrase. The collection embraces experimental poems, fragments and illustrations, all of which I found absorbing, moving and mysterious, propelling me on. Even as I type this my eyes are welling up! Surely this is what poetry exists for. Thanks for this, Robin. Janet’s book is terrific, I agree.